Amazon building delivery network: Amazon has taken another step to disrupt transportation through its new Delivery Service Partners program, which is creating a network of small business owners operating fleets of up to 40 delivery vehicles. Hundreds of small business owners may join, which could further take share away from UPS, FedEx, and the US Postal Service. 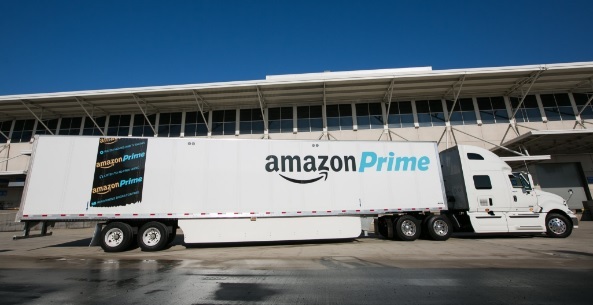 Those joining the new network will get training and use of logistics technology from Amazon. Participating businesses can get discounts on vehicles, uniforms, fuels, and insurance. In recent years, Amazon has been building its logistics and transportation presence through air freight delivery, heavy-duty trucks, and the Amazon Flex network of independent contractors. President Donald Trump has criticized Amazon for getting the U.S. Postal Service to deliver its packages at bargain prices and for paying “little or no taxes to state & local governments,” according to one of his tweets. Looking at the Big Picture: Green Auto Market’s take on developments impacting the auto industry, global economy, and clean transportation. Jaguar Land Rover has upped its investments in electrified vehicles by 26% — now up to 13.5 billion pounds ($18 billion) over the next three years. The British automaker plans to offer electrified versions of all its nameplates. The company has seen its diesel vehicle sales drop and low profitability led to negative cash flow. JLR plans to produce by 2025 three versions of all its vehicles, including those powered by petroleum fuels, batteries, or a combination of both. The automaker will only offer all-electric versions of its product lineup if there is enough demand, a company spokesman said. This year has seen introduction of the Jaguar I-Pace all-electric crossover. The company plans to use its China factory to produce an EV such as the I-Pace, where competitive brands Audi to Mercedes are investing money to dominate that part of the market. Volt getting faster charger: General Motors has cut charging time down for the 2019 Chevrolet Volt plug-in hybrid nearly in half by doubling the kilowatt capacity. The new 7.2 kilowatt charging system reduces the charging time from about 4.5 hours to 2.3 hours with a 240-volt outlet, GM said Thursday. The enhanced charging system is standard on the Volt Premier trim and will be available as an option on LT trim for the 2019 model year. Range will remain the same on the 2019 model, with 53 miles of battery only and total range of 420 miles on gasoline and electricity. Tesla Model 3 hits more snags: Tesla’s struggles to hit Model 3 production continue, with a fourth assembly line added this month under a tent at its Fremont, Calif., plant. Reaching the 5,000 units per week by the end of June isn’t looking good. Battery supplier Panasonic has been facing supply shortages, which would affect Tesla at the Nevada Gigafactory. There have also been two fires at the Fremont plant this month that forced temporary production halts. Reaching the overall target has been a missed mark for Tesla ever since the beginning of Model 3 output. Hyundai enters energy storage market: Hyundai Motor Group is working with Finnish corporation Wärtsilä for second-life electric vehicle batteries to reach the growing energy storage market. The global partnership will combine HMG’s expansion in electric vehicles with Wärtsilä’s growing energy business, which includes 67 GW of installed power plants and advanced energy storage technologies and software created through the acquisition of Greensmith Energy. It will tap into Wärtsilä’s existing customer and channel networks across 177 countries globally. Hyundai joins up with several other global automakers, such as Nissan, Tesla, and BMW, now serving the energy storage market. Lyft raising more capital: Ride-hailing firm Lyft has raised $600 million in a funding round led by Fidelity Management & Research Company, a subsidiary of Fidelity Investments and a prior Lyft investor. The company could raise up to $1 billion if its able to secure a strategic investor. Prior rounds have included General Motors and Chinese ride-hailing leader Didi Chuxing. Lyft has raised over $4.91 billion in venture capital and private equity funding, according to Crunchbase data. It’s market valuation is now at about $15 billion, double what it was during an April 2017 valuation. Lyft continues to battle Uber for ride-hailing and ride-sharing customers, and has been slowly expanding its presence beyond the U.S. market. Kroger entering autonomous delivery business: Grocery retailer Kroger is offering same-day autonomous vehicle deliveries through a partnership with self-driving vehicle startup Nuro. A pilot project will start this fall in several markets yet to be announced. It will use Nuro’s electric pod vehicles for short-range deliveries. The startup hopes to have a strong presence in “last-mile delivery” in markets such as groceries, dry cleaning, meals, an item left at a friends house, and other services. Kroger, which runs the Ralph’s grocery chain, has been getting ready to compete directly with Amazon and its grocery delivery service. Americans for Prosperity beating transit: Oil billionaires Charles and David Koch stunned observers by backing a voter campaign to thwart a $5.4 billion mass transit project from being funded in Nashville, Tenn. What had seemed like an easy shew-in was defeated this month through successful get-out- the vote activism from Koch brothers-funded Americans for Prosperity. 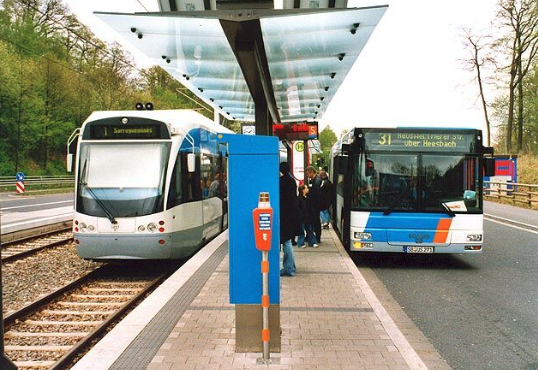 That group is seeing success fighting against other public transit projects around the country. The Koch brothers want to see public transit go away and government funds go into restoring highways and roads. The Koch Industries conglomerate is a major producer of gasoline and asphalt, and also makes seatbelts, tires, and other automotive parts. The Trump administration had promised to back highway infrastructure funding, but that has faded away. Americans for Prosperity is now filling some of that void. Supporters of transit project investments say that having light-rail and more buses reduces traffic congestion and air pollution in a city. They also see transit as a platform for bringing in more electric and alternative fuel-powered buses. The Koch brothers have an opposing agenda, and have also been opponents of electric and alternative fuel vehicle adoption. Volkswagen AG and Ford Motor Co. have signed an agreement exploring a strategic alliance designed to strengthen each company’s competitiveness and better serve customers globally. The companies are exploring potential projects across a number of areas – including developing a range of commercial vehicles together to better serve the evolving needs of customers. Ownership of new ventures would not involve equity arrangements including cross ownership stakes. 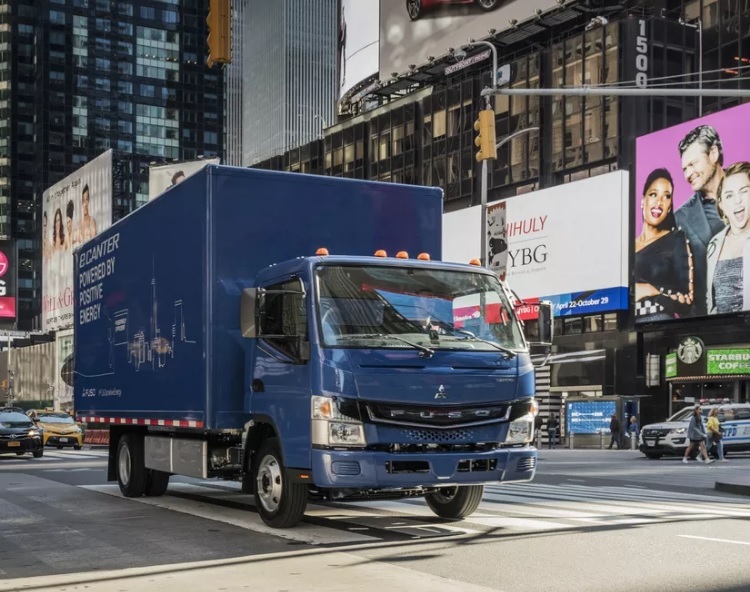 Commercial vehicles could be ideal for both companies to share goals in selling electric and alternative fuel vehicles through fleet purchase programs, though the issue of green vehicles wasn’t mentioned in the press release. Events to consider attending: CALSTART’s High-Efficiency Truck Users Forum (HTUF) is taking place Aug. 6, 2018, at the Novi Suburban Collection Showplace in Novi, Mich. It’s being held in conjunction with the Ground Vehicle Systems Engineering & Technology Symposium (GVSETS) which convenes Aug. 7-9 at the same location. The one-day HTUF event brings together industry and military stakeholders to identify barriers and opportunities for greater adoption of advanced technologies in these areas. It’s supported by the U.S. Army’s Tank Automotive Research Development and Engineering Center (TARDEC), and focuses on vehicle efficiency, electrification, automation, and cybersecurity. The Battery Show will run alongside Electric & Hybrid Vehicle Technology Expo and Critical Power Expo. It takes place Sept. 11-13 at the Suburban Collection Showplace in Novi, Mich. The Battery Show connects you with more than 8,000 engineers and executives, and more than 600 leading suppliers, across the advanced battery supply chain. Ambri Inc. co-founder and professor of Materials Chemistry in the Department of Materials Science and Engineering at MIT, Dr. Donald R. Sadoway and Chelsea Sexton, Electric Vehicle Advocate and Advisor, will keynote this year’s event. 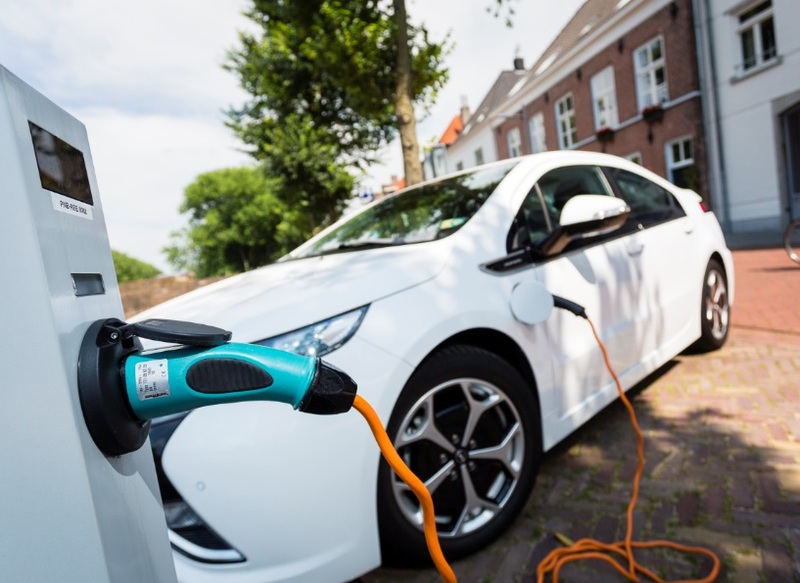 Electric Drive Transportation Association (EDTA) and Oregon Governor Kate Brown today announced that the 33rd International Electric Vehicle Symposium and Exposition (EVS33) will be held in June 2020 and hosted in the City of Portland. The announcement was made during the annual Roadmap Conference organized by Forth. Since 1969, EVS has been a global forum bringing together EV experts. Portland has long been a leader in transportation electrification, with some of the highest per capita electric vehicle sales and densest fast-charging infrastructure in the country, as well as the nation’s first brand-neutral electric vehicle showroom, the Go Forth Electric Showcase. Governor Kate Brown recently signed an Executive Order setting a goal of 50,000 registered electric vehicles in the state by the end of 2020. While city planners are making the convincing argument that mobility services are adding to traffic congestion and air pollution for now, Uber is taking on an alternative approach. On Tuesday, the company announced a pilot program offering financial subsidies to drivers who use electric vehicles; build features into its app that are specific to EVs; and partner with nonprofits and UC Davis researchers to identify ways Uber and policymakers can encourage and reward adoption of EVs. Called the EV Champions Initiative, the one-year pilot program is taking place in seven cities: Los Angeles, San Diego, Sacramento, San Francisco, Seattle, Austin, and Montreal. Incentives are specific to each market, with the company testing different benefits in different places. The incentives and benefits will vary by market. 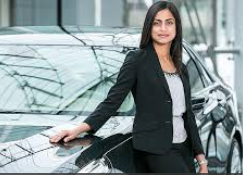 General Motors has appointed Dhivya Suryadevara as chief financial officer, the first time an auto manufacturer has seen both CEO and CFO jobs held by women; and GM is now the second of two current Fortune 500 companies to do so. Suryadevara, 39, will take over as CFO on September 1, replacing Chuck Stevens, who is retiring after 40 years with the company. She’s been serving as vice president, Corporate Finance, since July 2017 and played a leading role in the automaker’s divestiture of Opel, acquisition of Cruise, investment in Lyft, and SoftBank’s investment in GM Cruise. “Dhivya’s experience and leadership in several key roles throughout our financial operations positions her well to build on the strong business results we’ve delivered over the last several years,” said CEO Mary Barra. German Chancellor Angela Merkel said in a Berlin speech yesterday that the U.S. runs a trade surplus with Europe when services are included, in a move to rebuff to President Donald Trump’s sustained criticism of German manufacturing exports. Goods may be the old-fashioned way to calculate trade balance, but if you include services, the U.S. has a large surplus with Europe, she said. That follows the G7 summit, where Trump’s attacks had been particularly harsh against NAFTA partner Canada. Tariffs imposed by the Trump administration to aluminum and steel are already pushing up their costs for General Motors, according to CEO Mary Barra. The White House had imposed a 25% tariff on imported aluminum and steel. The Trump administration is also exploring the idea of imposing a 25% tariff on vehicles that are exported to the U.S. from the European Union as well as Mexico, Canada, and China. Barra is concerned that cost increases will impact affordability of the vehicles and consumer appeal. GM would need to be price competitive to maintain its role in global new vehicle sales. German prosectors have fined Volkswagen a penalty of 1 billion euro ($1.2 billion) for cheating on diesel emissions worldwide. It’s one of the highest fines ever imposed on a company in Germany, the prosector said in an statement. It’s part of a tough campaign Germany is taking on its local companies to implement reforms and bring accountability to the VW scandal that broke in September 2015. Separately, the country’s Federal Motor Transport Authority (known as the Kraftfahrt-Bundesamt, or KBA) discovered five “illegal switch-off devices” on about 1 million Daimler vehicles sold in Europe since 2014. KBA believes Daimler had equipped the device in the majority of its “Euro 6” classified diesel engines manufactured after September 2014 when the pollution standard became effective. Tesla CEO Elon Musk has bought $25 million worth of stock in Tesla, as the company announced it was slashing 9% of jobs due to “duplication of roles.” Musk increased his stake by about 72,000 shares, bringing the total to around 34 million shares and a 20% stake in the company. Musk would like to calm fears over Tesla’s future right after the electric carmaker on Tuesday said it would be cutting 9% of its workforce, mostly in salaried jobs. Since January, Tesla has added about 8,000 jobs and currently has about 46,000 employees. The new cut will remove about 4,100 jobs. Ford Motor Co. is offering more electrified vehicles to fleets. It’s all-new Police Interceptor Utility, the industry’s first pursuit-rated hybrid SUV. Hybrid battery packs have been placed inside the vehicle to not compromise available space for passengers or cargo. The idea was to bring improved performance while reducing operating costs for police fleets. Ford is also rolling out the Transit Connect Taxi and Fusion Hybrid Taxi to help taxi operators reduce fuel costs. Ford says that the Transit Connect Taxi opens up space. It offers 60 cubic-feet cargo volume behind the second row, more than the Nissan NV200 Taxi. Daimler electrifying trucks and buses: Daimler Trucks is ready to play a leading role in the electric commercial vehicle space, with announcements yesterday of a line of electric trucks and buses. Pilot programs will launch later this year, and the company will go to full-scale production by 2021. During an event at Portland International Raceway in Portland, Ore., an electric version of its Freightliner Cascadia heavy-duty truck was revealed, along with an electric version of its M2 medium-duty truck. The eCascadia will go about 250 miles per charge, and the eM2 will go about 230, the company said. Daimler has previously shown off its Thomas Built battery electric Saf-T-Liner school bus and the electric Fuso eCanter delivery truck. “We are the undisputed global leader of the trucking industry and we want to remain in that position with regards to electric trucks,” said Martin Daum, global head of Daimler’s Trucks & Buses division. Tesla shareholder vote: Tesla chief Elon Musk survived the first serious attempt by major investors to cut back what he’s able to do while running the electric carmaker, but the controversies and bad news continue for the company. A few leading Tesla shareholder funds had been demanding that three board members — directors Antonio Gracias, James Murdoch and his brother, Kimbal Musk — be removed from office. They also wanted Musk’s authority to be softened by taking away one of his titles with him remaining either CEO or chairman. The opposition failed to reach vote during the annual shareholders meeting on Tuesday. Musk said the company is ready to bring its long-promised goal of producing at least 5,000 Model 3 electric cars per week into play by the end of this month. 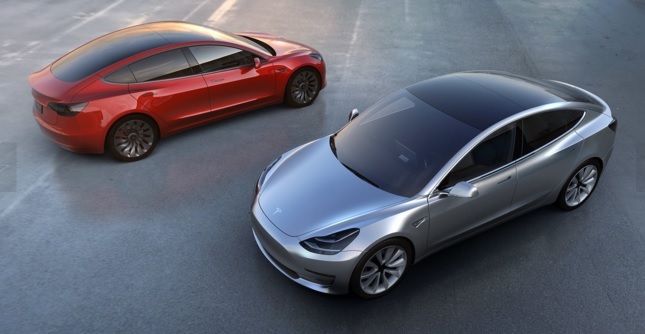 News was also revealed about plans to open up the next Gigafactory near Shanghai, China. The electric carmaker has been dealing since then with more bad news, including: 23% of Model 3 orders were refunded according to a new report that Tesla is disputing; a Tesla Model X that crashed in California while using the Autopilot semi-autonomous system sped up to 71 mpg right before slamming into a highway barrier, investigators said; and former occupational health officials say that Tesla should release more information on worker safety and injuries than the company has done so far. China EVs: The new energy vehicle market saw new developments yesterday. General Motors will be rolling out 10 more electrified vehicles in China from 2021 through 2023. That will join the 10 electrified vehicles GM and its Chinese joint ventures have already planned through 2020. Daimler and its partner in China, BYD, will each invest 400 million yuan ($62.5 million) to make improvements in their previously unprofitable electric vehicle joint venture, Shenzhen Denza New Energy Automotive. Denza launched sales of the Denza 300 electric compact sedan in 2014. Last year, the two companies had invested an additional 500 million yuan ($72.6 million) into the joint venture. Three states renew EV investments: During this past week, California, New York, and New Jersey have announced significant government incentives and funding programs for electric vehicle purchases, home charging, and the charging infrastructure. California will see $738 million made available over the next five years. The state’s goals are to expand the charging network for both personal cars, electric trucks, and other large vehicles. New York is offering $250 million for 200 fast chargers on highways and in cities, along with 400 public charging stations at parking lots, airports, and train stations. New Jersey’s public utility company is investing $300 million to build out the state’s charging network to 50,000 charging points in neighborhoods, office parks, and along major roads. The 16,000 EVs in New Jersey will potentially expand up to 275,000 in the next seven years, the New Jersey utility said. Consumer Reports gives thumbs up to Model 3: Tesla, Inc., has received some good news from Consumer Reports, which at first had appeared to be another ding during a difficult time for the company. The consumer publication reversed course and now recommends the Tesla Model 3 after the electric carmaker sent an over-the-air update this week that improved the car’s braking distance by nearly 20 feet. There are still other flaws with the electric car, but it scores high enough to recommend, said Jake Fisher, CR’s director of automotive testing. The strong rating comes after a wave of crashes involving Tesla’s Autopilot semi-autonomous system where Teslas operated on Autopilot have crashed into emergency vehicles parked on the shoulder or stopped in traffic. The most recent took place in Laguna Beach, Calif., where a Model S that was allegedly driven on Autopilot crashed into a parked police vehicle. The Tesla drivers suffered minor injures and the police car had no one onboard at the time. Tesla is also struggling to increase production of the Model 3 and win back better ratings on Wall Street. Dramatic growth expeced in EV sales: The International Energy Agency expects to see huge growth in global electric vehicle sales — bringing the global fleet up to 13 million by the end of this decade from 3.1 million documented last year. Sales may grow 24% per year on average through 2030. The agency expects that government policies limiting air pollution and greenhouse gases will drives the change. Aggressive EV production launches by several automakers are also part of the forecast. “The dynamic policy developments that are characterizing the electric car market are expected to mobilize investments in battery production, facilitating cost reductions and ensuring that battery production takes place at scales that exceed significantly what has been seen so far,” said Pierpaolo Cazzola, senior energy and transport analyst at the IEA. 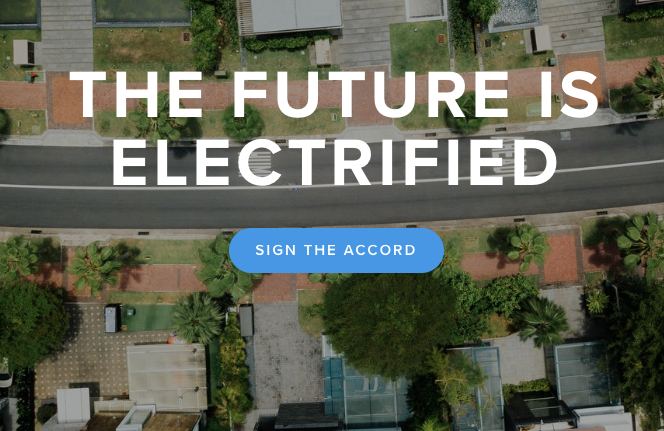 Speakers addressing e-mobility and the grid: Electric Drive Transportation Association is hosting the next installment in its Leader Series, “Building the Modern Grid with E-Mobility” on June 13 from 1:00 to 4:00 ET at the National Press Club in Washington, DC. California Public Utilities Commission President Michael Picker will provide the keynote presentation. Michael Pesin, Deputy Assistant Secretary for the Advanced Grid Research and Development Division in the U.S. Dept. of Energy’s Office of Electricity Delivery and Energy Reliability, will provide insights on federal initiatives on e-mobility and the grid. The afternoon program will feature key industry and policy leaders, interactive presentations and discussion. GM Cruise gets whopping investment: General Motors’ Cruise Automation has received $2.25 billion investment from SoftBank Vision Fund, a Japanese tech investor group, to go toward expanding its presence in autonomous vehicles. The deal will give SoftBank Vision a 19.6% stake in GM Cruise, which includes Cruise and Strobe Inc., a Lidar company that GM acquired last year. The SoftBank investment will involve two phases: a $900 million initial funding followed by a $1.35 billion round. Waymo and FCA forge AV deal: Waymo just made a deal with Fiat Chrysler Automobiles for an additional 62,000 Chrysler Pacifica minivans to be deployed as robotaxis. The deal also sets the platform for the two companies to start discussions on eventually selling autonomous vehicles to buyers as personally owned vehicles. The new partnership expands the relationship between Waymo and FCA, which began in May 2016 with the purchase of 100 Pacifica Hybrids for use in Waymo’s test fleet. It indicates Waymo may be converting vehicles over to self-driving units for sale to other companies. One of them could be ride-hailing giant Uber. CEO Dara Khosrowshahi said during a talk yesterday that his company is in discussions with Waymo to provide vehicles for Uber’s fleet. Thanks for your interest in joining our free newsletter mailing list. To finish signing up, click Sign Up. 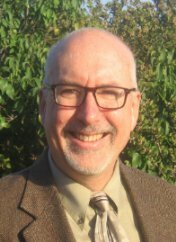 Jon LeSage serves as Editor and Publisher of Green Auto Market, which tracks the business of green cars, fuels, and technologies. Jon also serves as Automotive Editor, Green Initiatives at Automotive Digest. He’s passionate about – obsessed! – with this burgeoning global industry that has huge geopolitical, environmental, energy, and economic issues hovering around it.